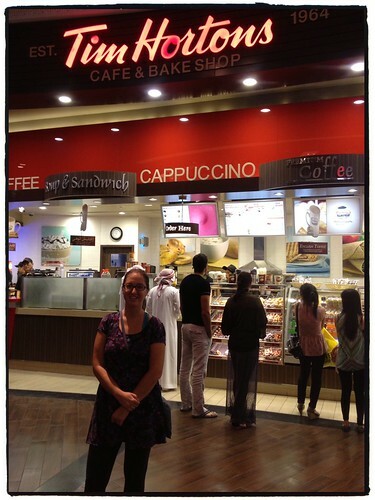 A lit­tle taste of home in Dubai, a photo by tf_82 on Flickr. This entry was posted in Street Photos, United Arab Emirates on 2 November, 2013 by Tim Fisher. We all can’t wait to take you both to a Tim­mies here in Mon­treal. Yes, we are count­ing down the days! Tim est partout…on n’est pas “globe trot­ter” pour rien !! !